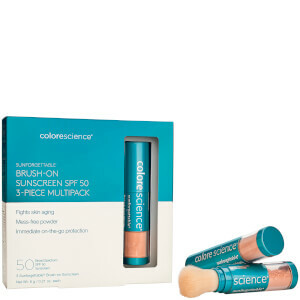 Protect and perfect your skin with Colorescience Sunforgettable® Brush-on Sunscreen SPF 50 in 'Fair Matte', a 2-in-1 mineral sunscreen and finishing powder that can be worn alone or over makeup. Inactive Ingredients: Mica, Dimethicone/Vinyl Dimethicone Crosspolymer, Corallina Officinalis Extract, Methicone, Dimethicone, Calcium Silicate, Triethoxycaprylylsilane, Sodium Sulfate, Laureth-4, Iron Oxides (CI77491, CI 77492, CI 77499). Stays with me in my bag! This is the bomb. It is a great sunscreen and finishing powder. I have the clear, fair, and medium. I mix the fair and medium to use as a finishing powder. 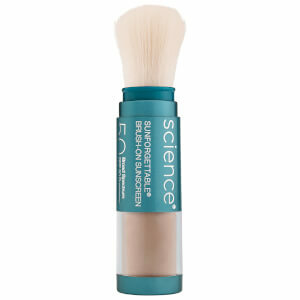 I use the Colorscience primers as foundation, over regular sunscreen, and finish up with this powder - mixing 2 colors. The powders are great quality and lasts for a very long time, and is therefore worth the price. I keep the translucent in my bag for later in the day touch-ups. Swirl the brush and press harder to dispense more; wipe back and forth to blend. I break out easily, but I don't with this brand. I also love the under eye concealer they have. A little of everything goes a long way, which is a huge plus. I mist my face with rose water (or a finishing spray) after I powder, to keep it from highlighting my wrinkles. 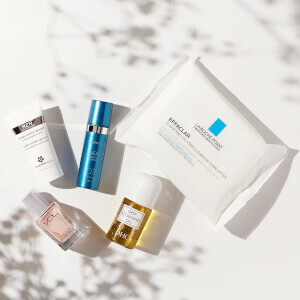 I really like this brand and their products - it has taken years for me to find a brand I can use that works, doesn't age me, has good pigment, and doesn't break me out. This brand fits all those things.